Rick "Nifty" Middleton was drafted in the 1st round, 14th overall, by the New York Rangers in the 1973 NHL Amateur Draft after a glittering junior career with the Oshawa Generals in which he led his league in scoring his final year. He debuted with the Rangers in the 1974–75 season, and scored 22 goals in 47 games. He was acquired by the Bruins prior to the 1976-77 season in exchange for Ken Hodge. Middleton became a great star in Boston, scoring nearly nine hundred points in a Bruins uniform over the next twelve years. Middleton had five straight seasons of at least 40 goals and 90 points and played in three NHL All Star Games. He ranks third all time in Bruins goal scoring with 402 and is the team's all-time leader in shorthanded goals with 25 and his #16 hangs from the rafters of the TD Garden. 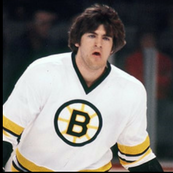 Terry "Taz" O'Reilly was drafted by the Boston Bruins in the 1st round as the 14th pick overall in the 1971 NHL Amateur Draft. O'Reilly spent his entire career in Boston, serving as the captain of the Bruins during the 1983–84 and 1984–85 seasons before his retirement. 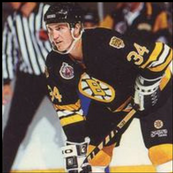 The Bruins retired his #24 on October 24, 2002. Raymond Bourque was the Bruins first choice (8th overall) in the 1979 NHL draft. He went on the play 21 seasons with the B's becoming the Bruins' all-time career leader in games played (1,518), assists (1,111) and points (1,506). During his career, he was selected to 13 NHL First Team (the most in history) and six Second Team All-Star squads, second in total in league history only to Gordie Howe and most amongst defencemen. He won the Norris Trophy as the top defenceman in the league five times. Rejean "Reggie" Lemelin is a native of Quebec City. He was chosen 125th overall by the Philadelphia Flyers in 1974. After four stellar years in the Flyers' system, Lemelin signed with the Atlanta Flames as a free agent in 1978. He made his NHL debut in 1978-79 and spent nine years with the Flames organization, highlited by a 30-win performance in 1984-85. Lemelin joined the Bruins in 1987-88 and won 24 games combining with Andy Moog to backstop the club to the Stanley Cup finals. Two years later, he won 22 games and shared the William Jennings trophy with Moog. Goaltender Andrew Raycroft was drafted 135th overall by the Boston Bruins in the 1998 NHL Entry Draft. He played his first full NHL season in 2003–2004, compiling a 29-18-9 record with a 2.05 goals against average (GAA), .926 save percentage and three shutouts. He helped lead the Bruins to a second-place finish in the regular season in the Eastern Conference en route to the Stanley Cup playoffs. For that performance, Raycroft was awarded the Calder Trophy in 2004, as league rookie of the year. Raycroft posted a career 2.89 GAA in 282 career games with Boston, Toronto, Dallas, Colorado and Vancouver. Featherstone was drafted 73rd overall by the St. Louis Blues in the 1986 NHL Entry Draft and made his NHL debut playing for the Blues in 1988. In total, Featherstone played 384 regular season games, scoring 19 goals and 61 assists for 80 points and collecting 939 penalty minutes. 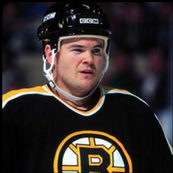 He provided toughness and solid play to the Bruins blueline from 1991-92 through 1993-94. Ken Hodge, Jr. was drafted by the Minnesota North Stars, with their 2nd pick, 46th overall in the 1984 Amateur Draft after a fine Collegiate career at Boston College. At B.C. Hodge, Jr. played in 99 career games and tallied 60 goals, 94 assists and 154 career points in just three seasons at the Heights. He led Hockey East in scoring as a freshman (64 points) and was named the league’s Rookie of the Year. Obtained by Boston in a trade in 1990, Kenny turned in a fine 1990-91 rookie campaign, earning a spot on the NHL All-Rookie Team. Playing on a line with Cam Neely he scored 30 goals and 29 assists for 59 points. 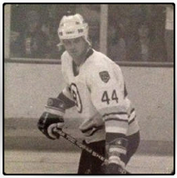 Selected by the Los Angeles Kings in the 1980 NHL Entry Draft, Bill O’Dwyer was a standout at Boston College scoring 162 points (64 goals, 98 assists) during his productive varsity career and led the team in scoring in his junior and senior seasons. he Co-captain of the Eagles and an All-East selection in his senior year. After five seasons with the LA Kings and New York Rangers organizations, O'Dwyer was signed as a free agent by the Bruins in 1987. He played 77 games in 1987, serving as a defensive specialist and penalty killer for coach Terry O'Reilly's B's. He scored his first NHL goal as an LA King vs. the Bruins on January 7, 1985. The son of former Montreal Canadien Claude Larose, Guy Larose played junior with the Guelph Platers and Ottawa 67's. He was claimed 224th overall by the Buffalo Sabres at the 1985 Entry Draft but never came to terms with the club. He signed as a free agent with the Winnipeg Jets and became a scoring star with the Moncton Hawks of the AHL. 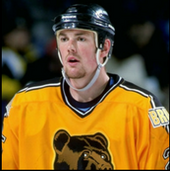 Larose was signed by the Bruins as a free agent in 1994 and spent the bulk of the 1994-95 season in Providence, where he scored 58 points in 68 games. He later played four post-season games with Boston. Later in his career, he won a Turner Cup (IHL) and Calder Cup (AHL) with the Chicago Wolves. Joe Mullen played 16 NHL seasons with the St. Louis Blues, Calgary Flames, Pittsburgh Penguins and the Bruins between 1980 and 1997. He was a member of three Stanley Cup championship teams, winning with the Flames in 1989 and the Penguins in 1991 and 1992. Mullen became the 1st American born player to record 500 goals and 1,000 points, finishing with 502 goals and 1063 respectively. Prior to his pro career, Mullen was twice an all ECAC selection at Boston College. A three-time NHL All-Star and two-time Lady Byng winner, Mullen was enshrined into the Hockey Hall of Fame in 2000. After a brilliant OHL career with the Kingston Canadiens and one standout campaign with the WHA Birmingham Bulls, Ken "The Rat" Linseman was the first choice (7th overall) of the Philadelphia Flyers in the 1978 NHL Draft. Known as an outstanding skater and passer, Linseman also earned a reputation as an "agitator" during his productive 14-year big league career. In all he totaled an impressive 807 points in 860 NHL games with Boston, Edmonton, Philadelphia and Toronto. Linseman Scored Stanley Cup-winning goal for Edmonton in Game 5 of Stanley Cup Finals vs. N.Y. Islanders on May 19, 1984. That off-season he was traded to the Bruins and enjoyed 5 1/2 excellent seasons for the B's. Known for his heavy slapshot, Tom "The Bomber" Songin was a baseball and hockey standout at Boston College. He scored 71 points in 82 collegiate hockey games and was a member of Boston College's 1976 Beanpot Championship squad. A High scoring winger in the AHL, Songin played 42 NHL games over three seasons with the Bruins from 1976-1979. Songin was inducted into the Boston College Varsity Club Athletic Hall of Fame in 1996. Songin now serves as Ambassador to Youth Hockey for the Bruins. The Bruins drafted Bob Sweeney out of Acton-Boxboro high school. in 1982. He went on to a stellar 4-year career at Boston College, highlited by a 32-goals, 32 assist season (44 games) in 1984-85. That performance helped make him a second Team All Hockey Easy Selection. Bob also had NHL stints with the NY Islanders and Buffalo Sabres. He is now Director of Development for the Bruins Foundation. A native of Melrose Mass and a graduate of Stoneham High School, defenseman Frank Simonetti was an All-American with Norwich University. After a strong 1984 training camp, he signed a free agent deal with his home state Boston Bruins on October 4th 1984. 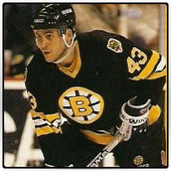 A good skater who moved the puck well, Simonetti was an effective player for the Bruins from 1984-1988. However, his career was plagued with numerous injuries and he was forced to retire after the 1987-88 season. In addition to his work with the Bruins Alumni, Simonetti has been very active in the Pan-Mass Bicycle Challenge, which has raised over $300 million to fight cancer. Left winger Bill Bennett comes from one the top hockey families in the United States. His father, Harvey, was an NHL goaltender with the Boston Bruins, and all five of his sons went on to play professional hockey themselves. Bennett began his NHL career with the Bruins who gave him his shot during the 1978-79 campaign, suiting him up for seven games. Bennett concluded the season with the AHL Rochester Americans, scoring 33 goals and 71 points in 72 games . In 1979-80, Bennett was signed by the NHL Hartford Whalers and played a career-high 24 games scoring three goals and three assists. He often was paired with hockey immortal Gordie Howe while with the Whalers. Andy Brickley was a standout winger for the University of New Hampshire Wildcats from 1979 to 1982. In 93 games for the Wildcats, Brickley scored 68 goals with 69 assists for a total of 137 points. He led the Wildcats to the NCAA Final Four in 1982 and was named first team NCAA All-American the same year. Brickley played 385 NHL games over 13 pro seasons with the Philadelphia Flyers, Pittsburgh Penguins, New Jersey Devils, WinnipegJets and Boston Bruins. 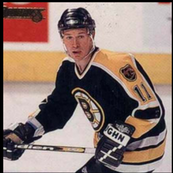 He was a valuable utility player for the Bruins from 1988-1992, but his career was hampered by injuries. His most productive season was 1989-90 when he notched 40 points in just 43 Games. He is now a popular analyst for the Bruins on NESN. Born in Bolton, MA, Hal Gill was a notable quarterback at Nashoba Regional High School in Bolton, Massachusetts. ​After being drafted in the eighth round, 207th overall in the 1993 NHL Entry Draft by the Boston Bruins, the 6-7 Gill spent four years playing for Providence College. 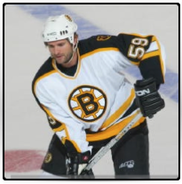 He entered the NHL during the 1997–98 NHL season and played over 600 regular season games over eight seasons with the Bruins. Gil played 1108 games including the Penguins, with whom he won a Stanley Cup in 2009. He represented the USA at the World Championships on five different occasions. Stephen Leach was raised in Lexington, Massachusetts and played his high school hockey at Matignon HS, where he won four consecutive Massachusetts HS hockey titles from 1981 to 1984. He went on to play two seasons at the University of New Hampshire before joining the Washington Capitals, where he spent parts of the next six seasons. He also represented the USA at the 1988 Winter Olympics. Prior to the 1991–92 NHL season Leach was traded to the Boston Bruins in exchange for Randy Burridge. Leach recorded 31 goals with the Bruins that season and followed that with a 26-goal output the following year. Leach played over 700 NHL games with the Caps, Bruins, Blues, Hurricanes, Senators, Coyotes and Penguins. A native of Hyannis, MA, and a graduate of Natick High School, LW Dan LaCouture was drafted in the 1st round (29th overall) by the New York Islanders in the 1996 NHL Entry Draft. 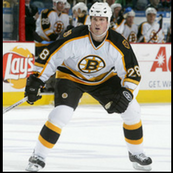 A hard-nosed, hustling forward, Dan appeared in 337 NHL games, including 55 with the Bruins in 2005-2006. LaCouture’s career spanned from 1997-2011 and included NHL stints with Edmonton, Pittsburgh, New York Rangers, Boston, New Jersey and Carolina. He played one year of college hockey at Boston University (1996-97), where he recorded 25 points in 31 Hockey East Games. Jay Miller played 446 NHL games and amassed 1723 PIM's while earning the reputation as one of hockey's all-time toughest players. Born in Wellesley, Massachusetts, Miller was chosen 66th overall by the Quebec Nordiques in the 1980 Entry Draft after his freshman year at the University of New Hampshire. After finishing his four years with the Wildcats, Miller spent two years in the minors. He then spent nearly four years as the Boston Bruins' enforcer and helped the club reach the Stanley Cup final in 1988. Miller concluded his career with four solid seasons with the LA Kings before retiring in 1992. John Carter, was a speedy left wing with a hard, accurate shot. 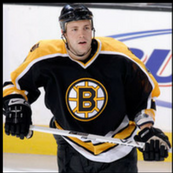 A two-time All-American at RPI, he was signed by the Boston Bruins as a free agent following his senior and had a ten-year pro career. In 1984-85, as a junior at RPI, he and linemates Adam Oates and Mark Jooris teamed up for 97 goals as the Engineers capped off a 35-2-1 season with a 2-1 win over Providence College at the Joe Louis Arena in Detroit to win the NCAA National Championship. Carter’s top Bruins season came in 1989-90 when he notched 17 goals and added six more in the post-season. Bruce Crowder was drafted 153rd overall by the Philadelphia Flyers in the 1977 NHL Amateur Draft and went on to complete a stellar four-year career at the University of New Hampshire. He inked a pro contract with the Flyers in 1979 and had two productive years with the Flyers farm club in Maine. 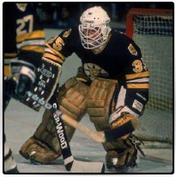 Crowder then signed a free agent contract with the Boston in 1981 and remained with the Bruins through 1984. Bruce played 243 career NHL games, scoring 47 goals and 51 assists for 98 points. His best offensive season came with the Bruins in 1982–83 when he garnered career highs in goals with 21, assists with 19, and points with 40. Crowder played with the Pittsburgh Penguins in the 1984-85 season and retired at the conclusion of the season. ​David Shaw was a steady and reliable blueliner during 16 NHL seasons with the Quebec Nordiques, Minnesota North Stars, Edmonton Oilers, New York Rangers, Tampa Bay Lightning and Boston Bruins. Shaw was a 1st round draft choice (13th overall) of the Nordiques in the 1982 NHL Entry Draft. In 1983-84 he led the Kitchner Rangers to the 1984 Memorial Cup Championship and was a First Team OHL All Star. A member of the Boston University Sports Hall of Fame, Cleon Daskalakis established himself as one of the premier goalies in New England collegiate history. As a senior in 1983-84, Daskalakis led the club to a stellar 28-11-1 mark, and its first NCAA Tournament bid in six years. A finalist for the Hobey Baker Award, Daskalakis received First Team All-America, First Team All-New England, ECAC Player of the Year, New England Player of the Year, and Team MVP honors, and the Walter Brown Award as the top American-born collegiate player in New England. 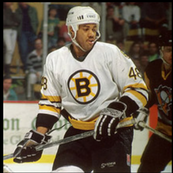 Cleon had three stints with the Bruins from 1984-1987. Defenseman Bruce Shoebottom earned a reputation as one of hockey's toughest players in a well-traveled 15-year pro hockey career. He was drafted in the 3rd round of the 1983 NHL Entry Draft by the LA Kings after a solid four-year junior career with the OHL's Peterborough Petes. 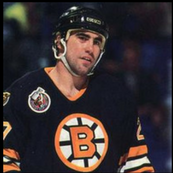 Bruce was signed by the Bruins as a free agent in 1987 and spent the next four seasons in the Bruins organization. 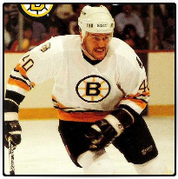 He was a solid plus 5 in in 1989 and compiled 35 PIM's in 10 playoff games with the B's. ​​Defenseman Andrew Alberts was selected by the Bruins 179th overall in the 2001 NHL Entry Draft. Following the draft, he joined the college ranks with the Boston College Eagles of the Hockey East conference. In four seasons with the Eagles, Alberts was named Hockey East's Best Defensive Defenseman and was a two-time NCAA All-American. Joining the Bruins in 2005, he played three seasons with the club before being traded to the Flyers. He played with the Flyers for one year, then with the Hurricanes in 2009. At the trade deadline the following year, he was dealt to the Canucks. ​Internationally, Alberts has competed for the American national team at the 2006 and 2007 World Championships. ​​​Boston-born Tim Sweeney played in college for Boston College (1985–89). He Led the Eagles in scoring his senior year with 73 points as the team advanced to the NCAA Championship quarterfinals. He was selected 122nd overall in the 1985 NHL Entry Draft by the Calgary Flames. In his first year after college, the 1989–90 season, he won the International Hockey League's Ken McKenzie Trophy for Rookie of the Year. Sweeney played Calgary Flames, the Boston Bruins, the Mighty Ducks of Anaheim and the New York Rangers in the NHL and played for the 1992 US Olympic team. He is a member of the Boston College Varsity Club Athletic Hall of Fame. Defenseman Al Iafrate played 799 career NHL games over 12 NHL seasons, scoring 152 goals and 311 assists for 463 points. His best season statistically was the 1992–93 season, when he scored 25 goals and 41 assists with the Washington Capitals. 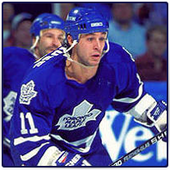 Iafrate was selected fourth overall by the Toronto Maple Leafs in the 1984 NHL Entry Draft and played for Team USA in the 1984 Winter Olympics . Best known for his blazing slap shot, Iafrate was selected to four NHL All-Star Games: 1988, 1990, 1993, 1994 and named to the NHL Second All-Star Team in 1992-93. A member of the Massachusetts Hockey Hall of Fame, Fred Ahern grew up playing in the South Boston Youth Hockey League, attended Boston Technical High School and then went on to Bowdoin College, where he eventually became team captain. 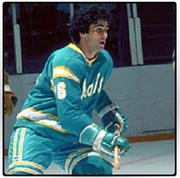 After leaving Bowdoin in 1974, Fred signed as a free agent with the California Seals and became the first player from South Boston to play in the NHL. He also played for the Cleveland Barons and the Colorado Rockies. Playing a total of 146 NHL games from 1975-1978, Fred scored 31 goals and had 30 assists. Ahern also played for Team USA in the 1976 Canada Cup. NCAA Division 1 Frozen Four Champion, Rensselaer Polytechnic Institute (RPI). As captain at RPI, Townshend led all RPI defensemen in scoring and was one of the top scoring defensemen in the ECAC as a Junior. After scoring 22 points in his senior year, Townshend signed with the Bruins in the NHL then went on to play 686 professional games, scoring 227 goals and 208 assists for 435 points while playing in the NHL, AHL, IHL, and WPHL. Defenseman Rich Brennan was chosen in the 3rd round, 46th overall by the Quebec Nordiques in the 1991 NHL Entry Draft out of high school. He then played at Boston University for 4 years. In 1992 he played in the World Junior Ice Hockey Championship for the United States. Brennan's most successful collegiate season came during his junior year (1993–1994) when he scored 35 points in 41 games and earned a number of honors including Hockey East First All-Star team honors and NCAA East Second All-American team honors. Rich played for a number of NHL, teams in his 14-year pro career, including the Colorado Avalanche, San Jose Sharks, New York Rangers, Los Angeles Kings, Nashville Predators, and Boston Bruins.